Connecting with someone who is going through memory loss issues can be tough. Angels shares 10 Tips for Effective Communication With A Memory Care Resident. Does Assisted Living Promote Healthier Living for Seniors? There are many reasons why assisted living may be the right choice for you or a loved one, but does assisted living promote healthier living for seniors? Is It Time to Consider a Memory Care Facility? If a loved one has begun to experience memory problems, it may be time to consider a Memory Care facility. Angels shares a few signs to look out for. 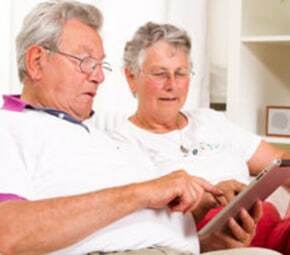 Technology is a very beneficial thing for seniors to learn how to use in assisted living. Contact Angels Senior Living for more information. Sometimes an assisted living facility doesn't meet all of the necessary levels of care necessary for comfort. Memory care and continuing care are options to consider. With age comes the obstacles that make everyday tasks difficult. 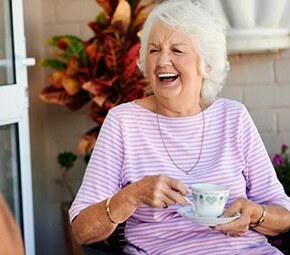 Angels Senior Living shares the Top 7 Reasons Why Assisted Living is Best for Seniors. BINGO is not the only activity left for seniors! Angels Senior Living proves this by sharing activities offered to seniors in assisted living facilities. Assisted Living: How Can I Afford This? Paying for assisted living care may seem challenging, but it is important that you know all of the facts before making this big financial decision. Being in an assisted living facility may seem like a hinderance for activities, but Angels Senior living shares how to avoid sitting disease.